The success obtained by Wonder Woman, in cinemas, is proof of how much super heroes are able to fascinate a wide range of people. And of course, the film itself directed under Patty Jenkins that sees the gorgeous Gal Gadot wear the attires of Wonder Woman, is cashing out amazingly. 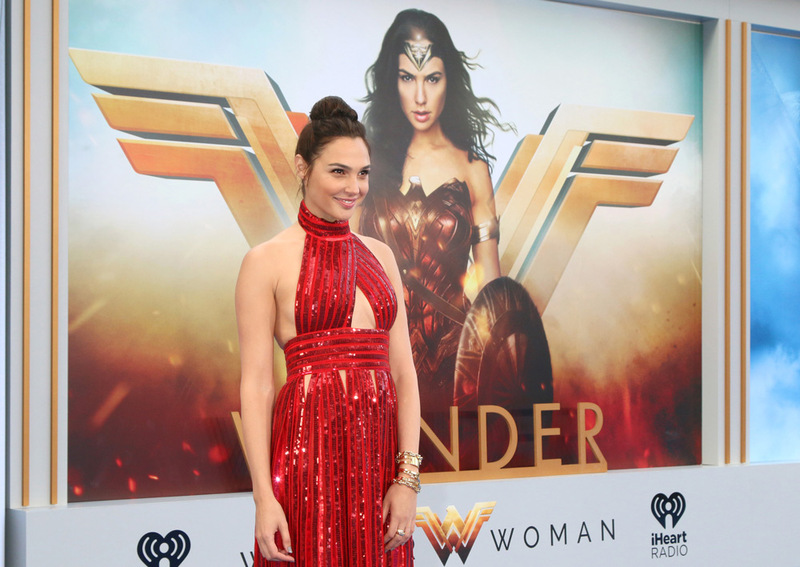 The film represents a hymn to one of the most recognized and known heroines of all time, an explosion of wonder, wisdom and grace which have undoubtedly made Wonder Woman known everywhere and every time. Other than the protagonist Gal Gadot, the cast is comprised of known names: David Thewlis, Elena Anaya, Chris Pine, Connie Nielsen, Ewen Bremner, Saïd Taghmaoui, Danny Huston, Lucy Davis e Robin Wright. Wonder Woman is a heroine that on par with Superman, Batman and other iconic characters, is part of what could be considered like the “pantheon” of super-heroes. In this imaginary universe, Wonder Woman, under the human name of Diana Prince, is born as a character destined to become a myth in 1941 thanks to the William Moulton Marston’s fantasy. In fact, her debut occurred in the number 8 of the comic books series All Star Comics. It is interesting to note the fact that the birth of Wonder Woman occurred in a world of all-male superheroes, where actual superheroes would save the world (and helpless ladies too). The stainless myth of Wonder Woman allows to emphasize how a woman, with her own ideas and strength, would be able to stay on par with many men. The model created by William Moulton Marston, in a way not thought possible, because of the time, soon received an immense sign of approval. #WonderWoman is WOWing critics across the globe! ? Experience the Wonder for yourself in just TWO days. Get tickets now – link in bio! Even if the archetype of the super-heroine is without doubt Wonder Woman, the world of super heroes also has other women as heroines. From simple complimentary, the cousin of the kryptonian superhero, Supergirl, soon became a real protagonist. Another excellent name in the world of female super heroes is Kitty Pryde, comic book character created by John Byrne e Chris Claremont. Appeared in the middle of the cold war, Black Widow, from femme fatale becomes protagonist of epic intergalactic adventures. Another female character belonging to the fantastic world of super heroes is She-Hulk, an exceptional all-female representation of strength. Wasp, as Capitan America, is a true leader, a woman capable of being both dominant and fragile and sweet. Jean Grey, also known as Phoenix, is another female superhero character. She was created by Jack Kirby and Stan Lee and, by many standards, is almost surely one of the most famous X-Women of all time. Batgirl, alias Barbara Gordon, also fights organized crime as a superheroine in Gotham City. A fantastic character where more than her athletic strength, it is her tenacity and intelligence that stands out, other than a sensuality all water and soap. Tempesta, alias Ororo Munroe, appeared as a super-heroine of the comics in the May of 1975. Created by Dave Cockrum and Len Wein, she’s a mutant who has control over the elements. The Sixties is where Invisible Woman, alias Susan Storm, makes her debut. She’s a renown super-heroine who fights against Galactus. She’s a famed comic book character created by Jack Kirby and Stan Lee. In conclusion, we couldn’t but remember Miss America, alias Madeline Joyce Frank, superheroine and married with Whizzer.